A Birthday is a special occasion to celebrate and gift your loved ones in order to express your love and appreciation for them. And if that person is as special as your wife, then the occasion becomes a super special opportunity to express your appreciation for her presence in your life. The gifts that you choose for your wife portray how special she is and how much she means to you. However, choosing the perfect gift for the most special person in your life is not easy. Given the wide array of gifting options available, it is confusing as to what would be the perfect gift for her. You need not go frantic at the last minute as here is a compiled list of top 10 birthday gift ideas in 2013 for your significant-other that she will love to receive. 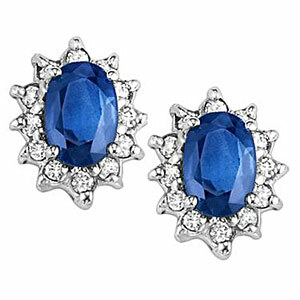 Jewellery is one of the top favourite gifts that women love to receive because they love jewellery. Women associate jewellery with her emotions and sentiments. One of the main reasons why women love to receive jewellery as gifts is that it makes her feel special and valued. Women love to wear jewellery that enhance their beauty, express their individuality and has a real story to share to the world. Rings, necklaces, pendants, chains, earrings, bracelets, anklets are all prized possessions of women. Choose across extensive designs in fashion, sterling silver, gold plated, pearl, gold and diamond jewellery for your lady love’s birthday. Hence, make sure that the piece you choose for her is unique and reflects her personality; something that she can proudly flaunt along with the emotional pleasure. These gifts are a hit with the ladies. Women love anything that would enhance their beauty and appearance. A hair dryer, hair curler, hair straightener can win you her appreciation on her special day. 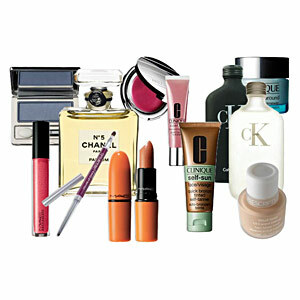 Along with this, you can gift cosmetics, hair and body care products and add to her delight. Choose from the wide variety of latest beauty products and cosmetics and show your lady how much you care for her beauty too. Every lady loves to dress up and as long as it is her style she would love your gift. So you just gear up to shop for her keeping strictly in mind her favorite fabric, color and what she loves to wear or may be what she has been searching for herself for long. Or just gift her a fab party dress to make her the eye candy in her birthday party. You can opt for traditional or western wear. If she has been searching for a traditional attire recently, then stun her by gifting her exactly what she had been looking for. If she is fond of sarees, then go with the trend. You can give her a lace sleeves saree, lehenga saree, a designer saree of her fav designer. You can also choose from a wide collection of fabulous ethnic wear like Anarkali and Kalidar suits which are very much ‘in’ this year. Lehengas can also be a good gift option. If she is fond of western wear, then make her feel special by expressing your desire to get her everything of her choice. Checkerboard, Stripes, Bold Florals, Global prints are very ‘in’ now. Metallics and leather apparels are the ‘in’ thing in 2013. 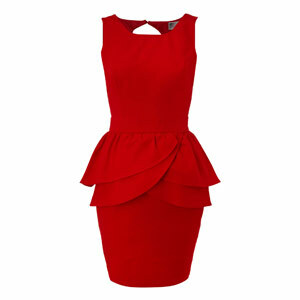 Peplum dresses are also currently a superhit in the fashion trends. Most women have a fetish for shoes and bags. Go through the collection of your lady’s footwear and find out what she is lacking or what kind of footwear she is fond of. Women are very choosy about shoes because they want a pair that fits perfectly and also looks fabulous with any outfit. White pumps and gladiator heels are the latest trends in 2013. Put in use tricks to know about what she likes regarding shoes, well in advance of time. If you know about her likes and dislikes then get sure to give her a pleasant surprise on her birthday. For women, bags are not just to store the essentials but it is a part of her style statement. Most women like average sized bags with many inside pockets so that a lot of things can be organized and stored in the bag. However, while buying a bag do keep in mind what your lady likes in terms of brand, color, size and material. Your lady will be immensely delighted to receive a handy bag as a gift on her birthday. If you can choose the perfect one for her according to her choice and give her a surprise, she will be amazed to find out how well you know her. This birthday give your lady an opportunity to pamper herself. Make her feel special by giving her a couple of hours for herself where she can rejuvenate. Go in for the best spa services so that she gets the best treatments that she likes. Settle for the best massage, detox treatments, hair spa and skin care treatments that she needs. This gift will especially show your concern to give her relaxation from all pressure. She will definitely appreciate and love this gift. Digital Photo Frames can be great birthday gift options because they are elegant and user friendly. Women love to relive their best moments and have their loved ones around. 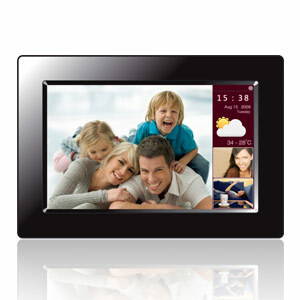 What could be a better way than having a digital photo frame with the best moments spent with you and her loved ones right in front of her eyes? With the slideshow format in these photo frames, you will give your lady a golden opportunity to relive her best moments on her birthday and make it a special day for her. Gadgets are not just for men. If your lady is a gadget freak, then surprise her with a new technical device on her birthday. If she loves to read books, then you can gift her an e-reader. 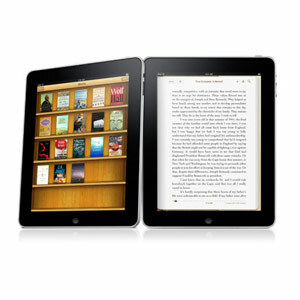 E-readers are portable devices designed mainly for reading digital e-books. Around 1200 e-books can be stored in these devices and your lady will be able to store and read her favorite books whenever she likes. These devices are very easy and convenient to carry. They make reading more comfortable than on other electronic devices. A woman can hardly live without her mobile because through it she stays connected with her family and pals. It is something that she will never part with even when going from one room to another. Gift your lady a recent technology packed smartphone and give her a cause to flaunt her possession in front of her folks on her birthday. Women love watches. It is not just a device to keep time for her, but a must-have to complete her look and create a style statement. Women spend a lot of time to choose the right watch to compliment her dress. Popular brands have come up with their specially designed watches particularly for women focusing on their choices and tastes. Choose from the wide variety of designs that best suits the personality of your lady love and gift her on her birthday. Chocolate is a common gift for birthday but this is an evergreen gift because women crave for chocolates at all times. 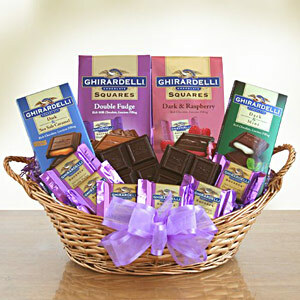 Surprise her with a delicious chocolate treat that she is new to and she has never tasted before. She would love to receive her loving chocolates from the love of her life. Choose from the wide and the best variety of chocolates like Teuscher, Scharffen Berger Chocolate Maker, Inc., Richart, Puccini Bomboni, Ferrero Rocher, Ghirardelli and melt her on her special day with the rich taste of exclusive dark, milk and white chocolate. A Birthday is incomplete without a sumptuous cake. A symbol of celebration, make your lady feel special by delighting her with a unique cake of her favorite flavour. Write a personal message with the birthday wishes on the cake. Choose a design that she will like. Add a bunch of edible flowers and make it even more special for the lady of your life. 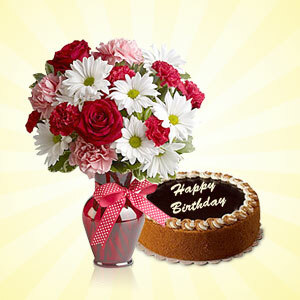 Flowers symbolize love and when it comes to wish your better-half, flowers are a must-have in the list of gifts. Focus on her likes and dislikes, the color and fragrance that she loves and choose accordingly. Allure your lady with fresh red roses or exotic flower bouquets. 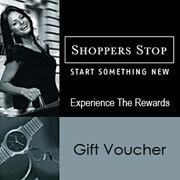 Shoppers Stop retails products of domestic and international brands such as Louis Philippe, Pepe, Arrow, BIBA, Magppie, Austin Reed,etc. 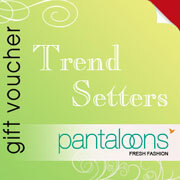 Pantaloons has over 75 exclusive stores across India and is one of the leading premium lifestyle apparel retail stores.It offers trendy fashion. 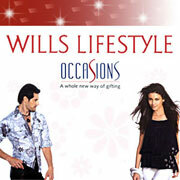 One of the most admired fashion brands in India, Wills Lifestyle is a chain of specialty stores that offer exclusive fashion wardrobe for all purpose. Hence, get ready and take your preparations well in advance and make your wife feel special. On this birthday win over your lady once again with memorable gifts along with a promise of never ending love and loyalty!